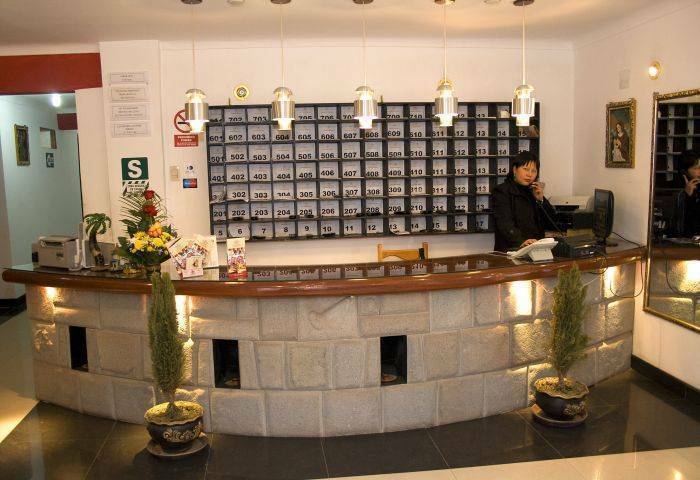 Mister Manco Capac is nice and cozy hotel, modern infrastructure with inka’s details, whose concept is to provide an attention very personalized and warm, and total confort as if you'd be at home with your friends. And of course you will get unlimited all services you need, airport pick up and drop off, internet wifi fast and free, restaurant (breakfast, lunch, dinner), cheap international calls, cable TV and DVD collection, free spanish lessons, hot water 24 hours, laundry service, , friendly staff (Englishspeakers). 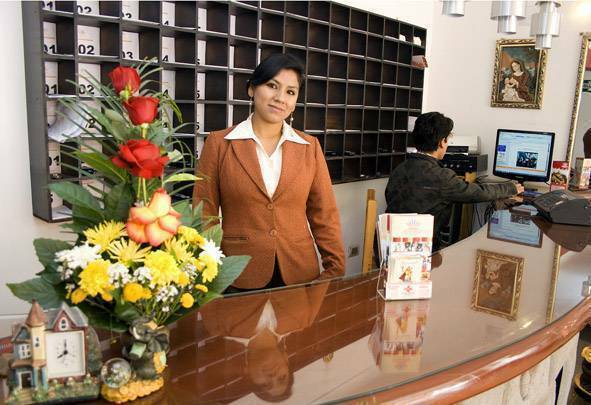 ■A multi-lingual concierge staff serving the needs of our most discerning guests. ■Room service available 24 hrs. ■Full Internet, fax, printing and LCD computers. ■Exclusive attention of our Guest relation, to help you organize your plan of visits and trips in Peru. ■Advice and support for visits outside the hotel and taking taxis. 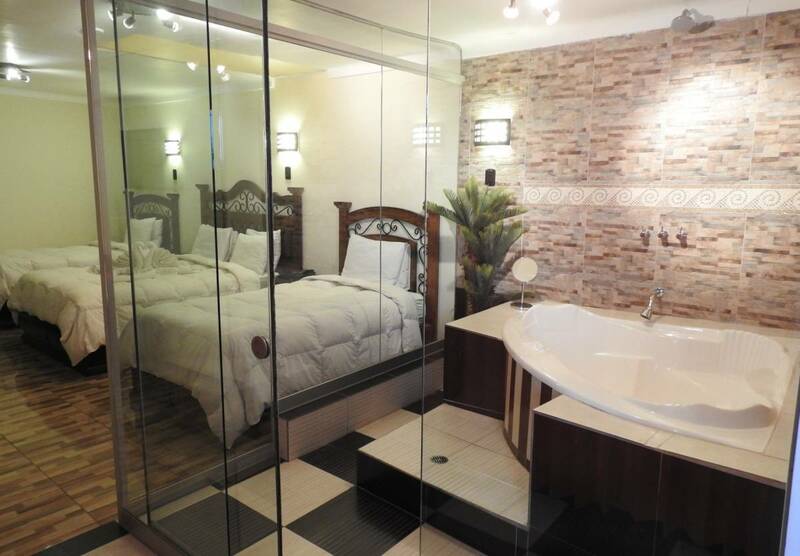 They are spacious, comfort and very clean, very good inflaestructura modern artistic style with details pre-Inca and Inca. Have all the services and beyond basic services, and expectations of you. 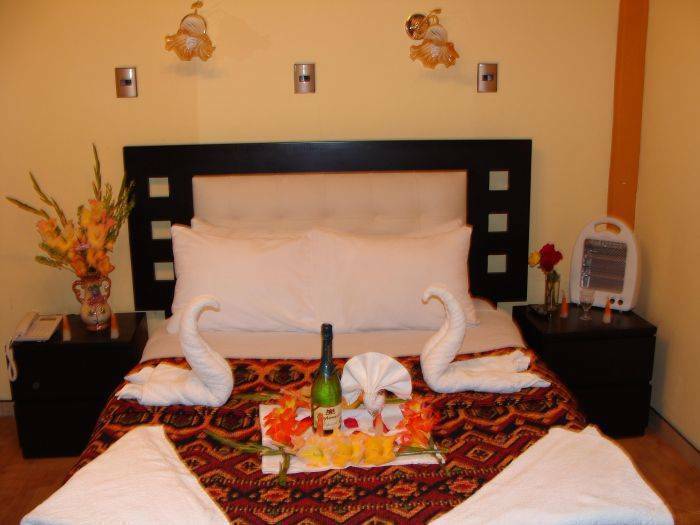 They are very beautiful and special to you being a fellow traveler, whether for tourism or business, and of course with hot water 24 hours a day, because it is very important to you, because in Cusco so like it's hot, it also leads to very cold temperatures. Is a neighborhood very close to the center where there is a large craft market, restaurants, poultry, chifas, pharmacies, Super Markets, banks, exchange houses, police stations, tourist information offices, stores of spare parts for motorcycles and cars for tourists come with their own mobility. Offers a good breakfast with a delicious coffee from the province of Cusco, Quillabamba. Also Menu for lunch and dinner. with 15 days notice, no charges and no show no refund. of the city of Cusco, special place where you can find all kinds of crafts handicrafs, clothing and Inca relics. Similarly behind us is Peru Rail (train station to Machu Picchu). We are also very near to the main avenue that connects the Plaza de Armas, in the way you can see the Qosqo Native Art Center, which is characterized by folckoricos dances of Cusco, also in the same block a spectacular view of Qoricancha archaeological center, as well as entertainment centers, restaurants, shopping centers, casinos, banks, currency exchange, beauty within, pharmacies etc, and very near to a block, Wanchaq Market, where you can buy groceries at very cheap prices. It is diverse, urban, interprovincial transport, train (from Arequipa and Puno), and Avion. 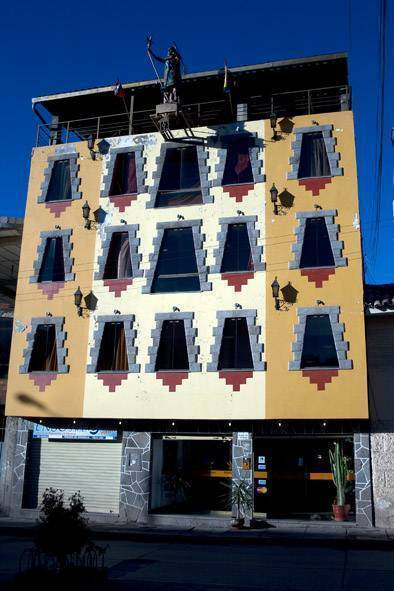 Nearest airport: From Velazco Astete Aiport to hotel, are 10 minutes by car.